In 1916, six businesses from Peoria, IL created a baseball league for their employees that would become the longest running amateur baseball league in America. Over the years, it has inspired multitudes of young baseball fans, drawn crowds of all ages, and produced 46 professional baseball players. 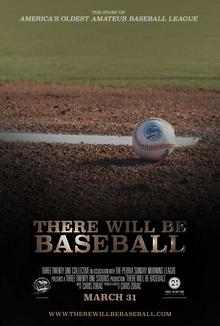 The documentary film, “There Will Be Baseball,” highlights this historic league, the sponsors and fans who support it, and the players who come back each year to play the game they love. 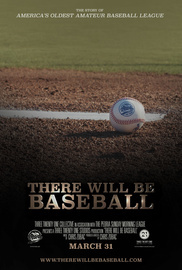 Learn the history of America’s oldest amateur baseball league and experience the journey that has taken place over the last 100 seasons in this compelling story of passion, perseverance and hope. Hear the stories of former big league players like Jim Thome, Joe Girardi, Mike Dunne and Zack Monroe, and how they got their start in the Sunday Morning League. Meet and follow the players who currently make up the Peoria Sunday Morning League, as they compete in this historic 100th season.